Vying for attention in a slick and artful way. Keep your eyes peeled though. 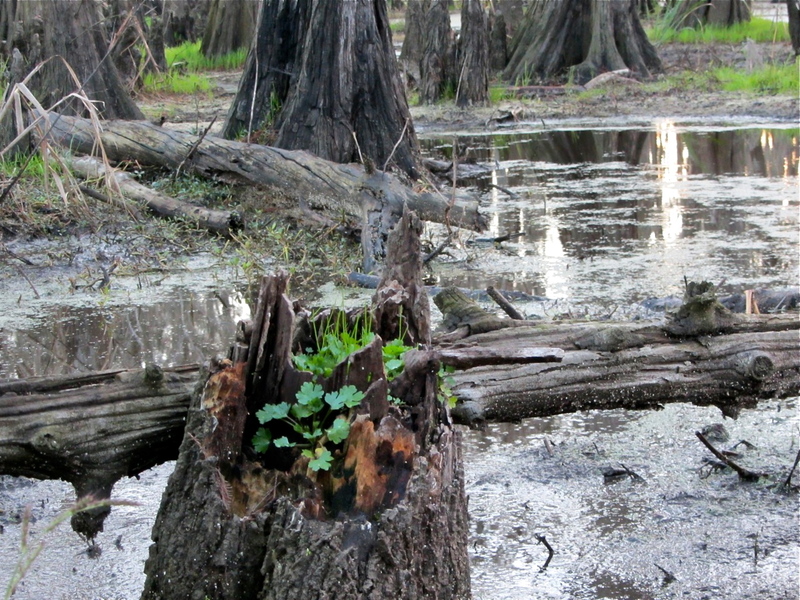 The locals say that gators lie like logs, and snap at you once you’ve been caught looking elsewhere. This collection of weeds makes my eyes dance between the possibility of danger and the gasp of odd placed delight. Thank you for liking my post, strawberryindigo. You were veeery quick! I really like your 1/20/12 post. So relatable.